In our increasingly urbanized world, humans and wildlife have been pushed closer and closer together. In order to maintain a balance between humans and wildlife and to protect wildlife from indirectly-caused human injury and displacement, it is important to educate everyone on the value of wildlife and to teach them how to properly deal with injured and orphaned wildlife. We offer a variety of science-oriented enrichment programs for all ages. We work in both public and private settings and will come to you or offer programs at the center. Our Wildlife Outreach program fees help to support the care and housing of our wildlife ambassadors as well as the operations of our wildlife rehabilitation facility. Each year, WildCare Inc. treats over 2,000 injured and orphaned wildlife patients and the numbers keep rising. WildCare Inc. pairs science, education, conservation, and fun in our programs. 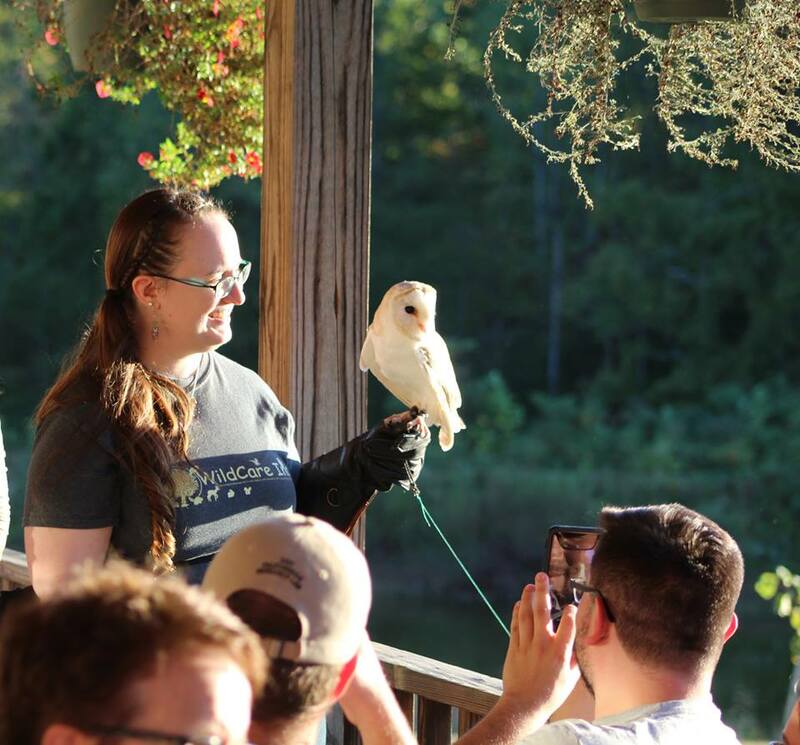 Our audiences can get an up-close look at some of Indiana’s native animals, and we even offer hands-on encounters with some of our non-native and domestic species. We offer programs in classrooms, assemblies, at state parks, fairs, and more personal events like birthday parties. We are able to offer both on- and off-site programming to suit a variety of needs. Have a child’s birthday party coming up? Looking for something new and exciting? How about live animals? WildCare Inc. will bring a variety of ambassadors based on your child’s interests. Get a photo with the ambassador of their choice and play games while learning about their new wild friends. We can tailor a program to fit your needs. Call us today to schedule your upcoming event or classroom presentation. For more information on programs and pricing, please email us at wildcareinceducation@gmail.com. Please allow a few days for a response.